DIGITAL MYSTERY TOUR with GOTA COUNTDOWN Ver. THE CHECKERS CHRONICLE 1992 5 FINAL TOUR “ACOUSTIC COLLECTION"
THE CHECKERS CHRONICLE 1992 6 Rec. 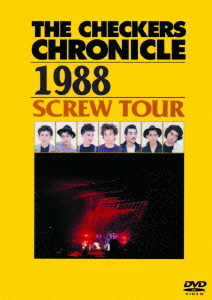 THE CHECKERS CHRONICLE 1992 4 FINAL TOUR “ACCESS ALL AREA"